Mark began his career in 1985 with the Ministry of Defence working in explosives research and development at Waltham Abbey and the Royal Military College of Science, Shrivenham. In 1989 he transferred to the former Metropolitan Police Forensic Science Laboratory where he specialized in firearms. He steadily rose through the ranks and in 2005 became the most senior firearms forensic scientist within the Forensic Science Service (FSS). Mark has worked on complex, sensitive and high-profile cases in the UK and across the globe. His expert witness testimony for both defence and prosecution has been pivotal in the full range of firearms offence cases. He has delivered evidence as an expert witness for nearly 30 years in Magistrates’, Crown, Coroners’, Appeal and Military courts. Mark has an in-depth knowledge of all firearms licensing compliance issues and was a member of the Association of Chief Police Officers (ACPO) Firearms and Explosives Licensing Working Group, together with its associated technical sub-groups. He has also played a vital role in the interpretation of firearms law in complex technical cases and has advised both the Home Office and Law Commission on firearms classification matters. Internationally acknowledged as an expert on forensic firearms Mark has been in demand in assisting in casework, process quality, designing competence testing regimes and implementing standards and competencies. 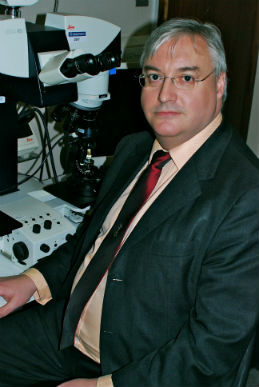 In 2009 his pre-eminence within Europe was recognised when he was elected Chair of the European Network of Forensic Science Institutes (ENFSI). On stepping down as Chair in 2011 he was made an Associate Member. His International work has included cases originating from homicides in Kosovo, Jamaica, Nigeria, Iraq and South East Asia. In 2015 he was appointed a Senior Ballistics Technical Advisor to the United Nations Centre for Peace and Disarmament in Latin America and the Caribbean. In this role he has developed training programmes, competency assessment and Standard Operating Procedures (SOPs) to maximise evidential and intelligence provision. He is also an International Assessor for the Netherlands Register of Forensic Experts. He is a trained auditor and has provided leadership in the development and monitoring of Quality Management Systems against the ISO17025 standard. He is highly experienced in troubleshooting quality failures and developing necessary recovery plans. He was the Lead Assessor for the Council for the Registration of Forensic Practitioners (CRFP). Mark was approached by The Royal Society of Chemistry and asked to provide the firearms input for the textbook ‘Crime Scene to Court: The Essentials of Forensic Science’, is now in its 4th Edition. Mark also co-authored with European colleagues, the paper, “A discussion on the usefulness of a shared European ballistic image database“ which addressed the still highly topical issue of how technology can assist in the fight against cross-border gun crime. In recognition of Marks contribution to firearms forensic science, the Chartered Society of Forensic Sciences made him a Fellow in 2012.